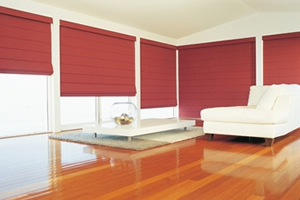 Poly Shutters $26.50 per sf. $24.50 per sf. $18.90 per sf. 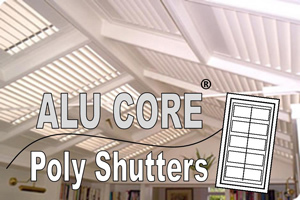 Alu Core Poly Shutters N/A N/A $19.95 per sf. 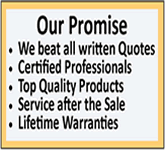 Prices effective January 2014. Actual prices may vary. * Shutter Empire sf. pricing for Shutters is offered with an order of 400 sf. and more. It is important to bear in mind that ALU CORE Poly Shutters is not your usual cheap and inferior “poly” or synthetic “wood”. 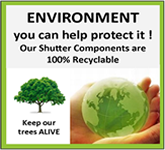 It is a high-tech, strong and resilient material - in fact perfect for the construction of high quality plantation shutters. What is more, it is constantly being improved such is the versatility of this recently discovered polymer. Here is a detailed list of the specific advantages that ALU CORE Poly Shutters have to offer over the more traditional wooden and especially over the synthetic window shutters made from vinyl or Polywood. They are waterproof and don’t absorb moisture. They have a high quality painted finish and don't need to be repainted. They have a box shaped cross-sectional aluminum core the full length of every component of the frame and of course the louvers themselves. The louvers are straight, never flex or bend and are thinner than their wooden or synthetic equivalents. Their thinness and non warping allow for greater light control and temperature insulation. The staples used in ALU CORE Poly Shutters recommended here glue themselves to the tilt rod and louvers in the construction process. They are considerably cheaper than traditional wooden plantation shutters. 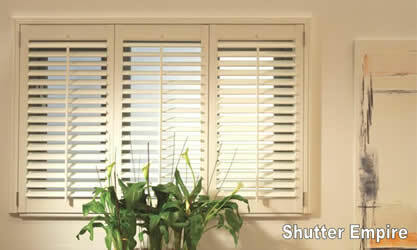 These ALU CORE Poly Shutters are highly practical and durable for indoor use. They are temperature stabilized, heat and steam resistant, so are particularly suitable in kitchens and bathrooms. They have a “V-0 fire rating” - the highest you can get. This allows them to be used in commercial buildings over three stories. 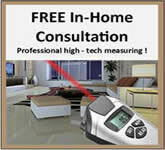 Their high-tech paint finish allows for easy cleaning; however abrasive cleaners should be avoided. 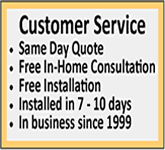 There is generally only a two-week delivery from the time of ordering. 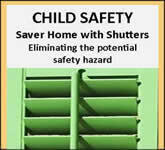 Even when as exterior shutters, they require less regular maintenance. One point to be aware of is that although ALU CORE Poly Shutters may be used on the outside of buildings, it may not be the most suitable product for exterior use in geographical areas subject to extreme cold. You can of course discuss this in full detail when ordering. Vinyl is generally hollow, which makes it less rigid and has a very low insulating value. Vinyl does not lock out bright lights due to its hollow construction. Vinyl has that cheap look and feel. The vinyl louvers are very flimsy which gives away its poor quality. Parts of the vinyl shutters are often made of plastic that degrade in sunlight causing their short life and early failure. 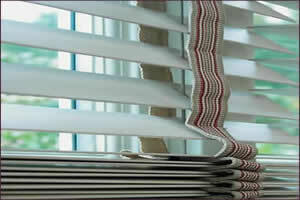 Vinyl shutters become discolored over time due to exposure to sunlight. The reinforced aluminum core used within ALU CORE Poly Shutters construction allows for a greater width of the louver. 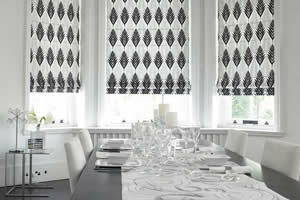 This gives the option of being able to manufacture wider panels which in turn allows for a bigger view of the outside. Most PolyWood ™ shutters will not be more than 28 inches wide. ALU CORE Poly Shutters plantation shutters panel widths can be constructed to a width of up to 3 feet (36 inches). ALU CORE Poly Shutters material has any harder, more resilient surface that better withstands accidental knocks, scratches and dents. ALU CORE Poly Shutters manufacturers delivery times are generally much faster than PolyWood ™. ALU CORE Poly Shutters stile and rail joints are more robust. ALU CORE Poly Shutters are bolted and/or screwed together whereas these PolyWood ™ constructions are usually glued. ALU CORE Poly Shutters construction using bolt and screws allows for easy replacement of the damaged louvers. ALU CORE Poly Shutters movers and rails do not suffer from uneven gaps or cracks due to their precision co-extruded manufacturing. 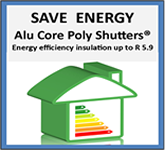 ALU CORE Poly Shutters do not use rubber flaps that degrade and obstruct the mechanism as in PolyWood ™. 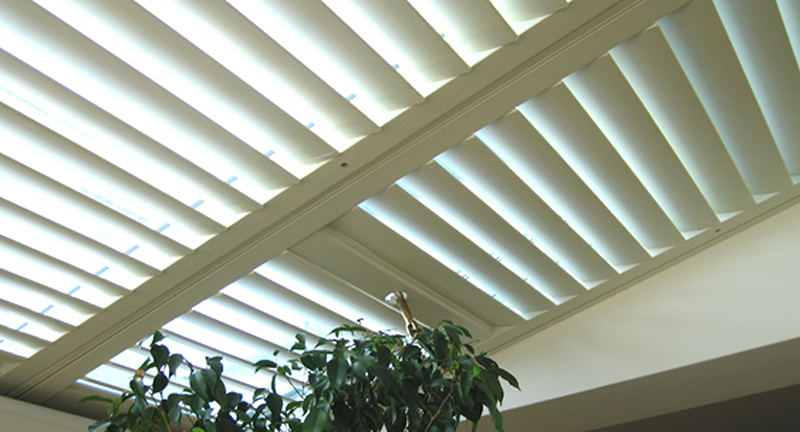 ALU CORE Poly Shutters panels can be opened and closed separately, so providing a more versatile control of light. With the ever increasing danger of unpredictable and extreme weather conditions, it is useful to realize that ALU CORE construction shutters can still be used on the outside of buildings. 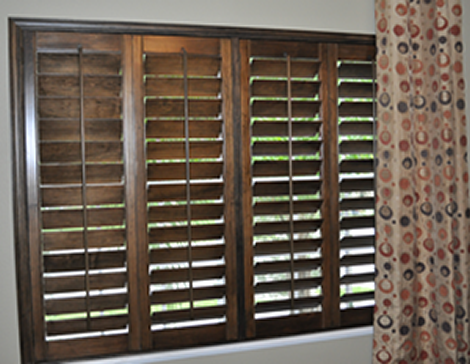 There are various limitations to their use which are typical to exterior shutters.